Karaikudi Kaali vs Kovai Kings is the game of the day at NPR College Grounds, Natham on Wednesday. This is Eliminator match, so the winning team of the match to play the final on August 20th, Sunday at Chennai. Tuti Patriots won their Qualifier 1 against Chepauk Super Gillies on August 15th Tuesday. Today’s winning team will play against to the Chepauk Super Gillies on Qualifier 2. So, the winning team of the day will not get chance to play directly to the final. Both of the team, Karaikudi Kaalai and Lyca Kovai are standing next to each in the points table. While Karaikudi Kaalai have eight points by winning four matches but Lyca Kovai Kings won three games with two no results. Subramaniam Badrinath is the lead player of Karaikudi Kaalai who having strength to get winning against Kings. 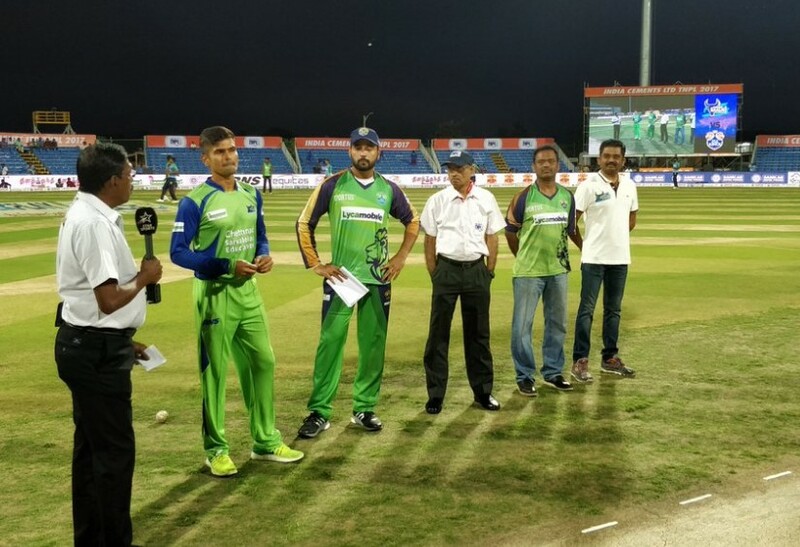 Also, K Vishal Vaidhya and Srikkanth Anirudha are ready to contribute their experience in this match to beat the Lyca Kovai. Lyca Kovai Kings have won the toss and elected to bowl first. Karaikudi Kaali playing XI: Badrinath, Aniruda, Ganapathi, Aaditya, V Vaidhya, Rajkumar, Shajahan, Mohan, Lokeshwar, Sonu, S Sam. Kovai Kings Playing XI: M Vijay, Surya, Anirudh, Rohith, Akshay, Harish, Mohammed, K Vignesh, Arun, Gowtham, Sivakumar. As mentioned early, the Karaikudi Kaalai’s standing at the third position and Kovai Kings at fifth position in the table. When to compare with the Kaali, Kings also having more power to win over Kaali because the team just lost two games of this tournament. Also the team having some big names in the squad. So, we can expect some big score in this last stage of match in TNPL 2017. This is eliminator match, it means, the losing team will eliminate from the tournament. And the winning team will get another chance to reach the TNPL 2017 final match. Fans can watch this match on Star Sports 1, Star Sports 2, Star Sports Tamil, and Super Vijay at 07:15 pm on August 16th Wednesday. Also on watch Hotstar Online.